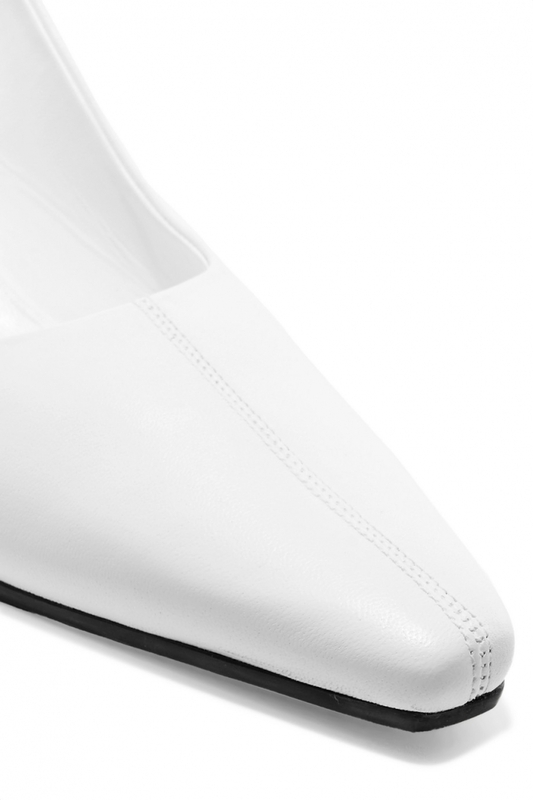 Trend for those who prefer comfortable elegance – white shoes with a low heel. White shoes have always been considered an impractical thing, but not this season: we do not listen to conservative opinions, but, on the contrary, we apply the tendency with might and main, to the taste of the general public. 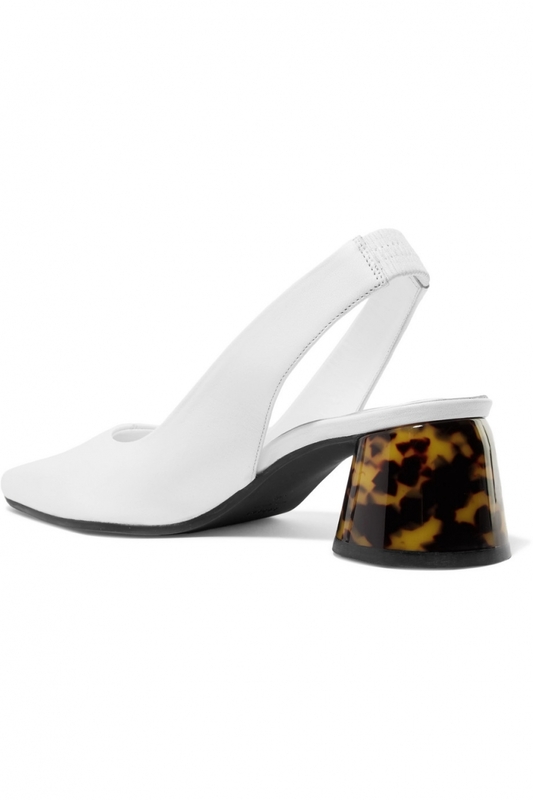 Maybe, white shoes and not call practical, but trendy – for sure yes. We adopt a super-active trend with slippers Ellery. This pair will perfectly fit into the minimalist trend of the season, because everything is fine in it – the color, shape and fashionable this season’s non-standard heel. You can wear such sandals as with a bright summer dress, and with jeans. In this case, the bag should be of any other color.